No matter how old we get, I don’t think we ever lose the wonderful feeling of learning something new and experiencing the moment that we are successful in doing it correctly for the first time. That happened to me this weekend. 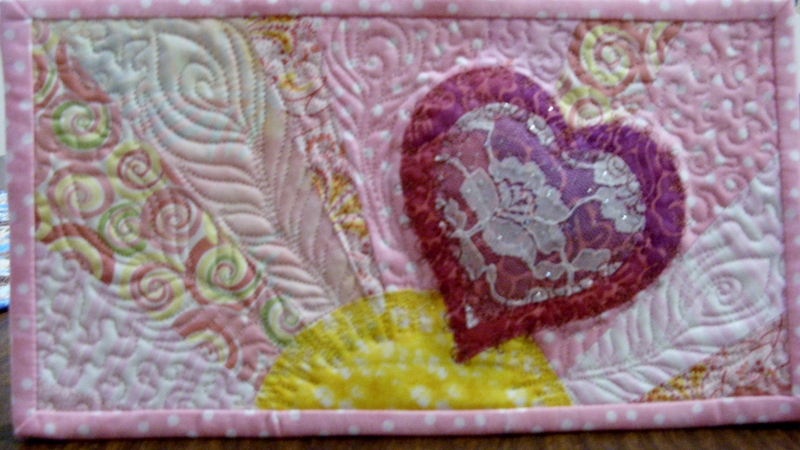 The projects that were in the forefront this weekend for my Saturday day of quilting included finishing the valentines by quilting and binding, and to begin the quilting on a quilt top that I made at the end of our Guild retreat last June. Friday night I did the prep work, I laid out the Pod quilt and spray basted (and a few pins for safety). 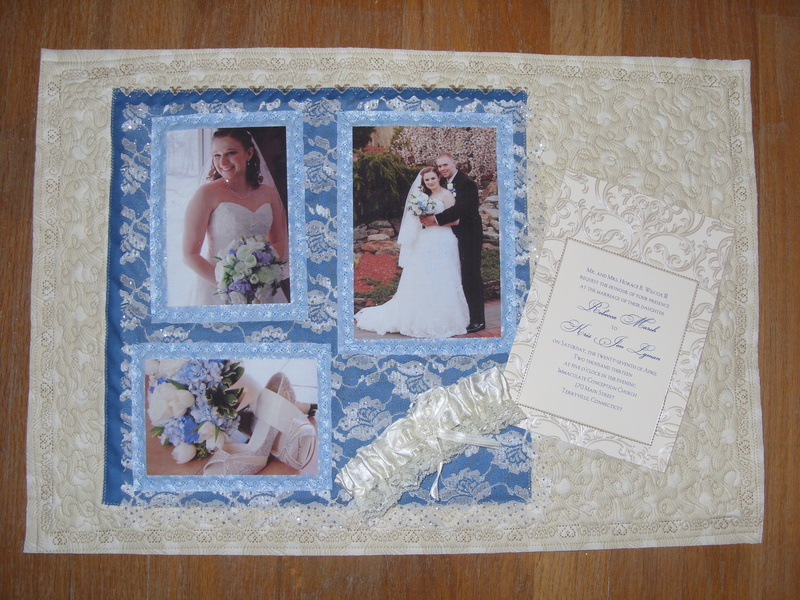 Then I started reviewing information that was available to me from Craftsy on line classes. 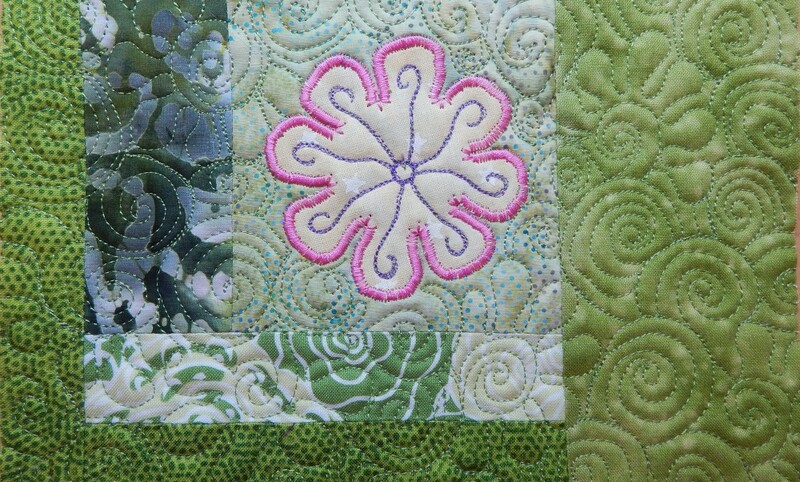 If you haven’t checked out Craftsy classes on line, I recommend it if you are interested in Quilting, Knitting, Drawing, Photography, Sewing, etc. The classes are online and available to you always, there are some free ones to try out the format. The classes I reviewed were Machine Quilting Negative Spaces and Free Motion quilting with Feathers, both classes with Angela Walters. The Pod quilt has a lot of negative space and I want to plan out the quilting to take advantage of that. Saturday was one of those rare days when I had no outside plans to slow me down and the only distraction was the cat. 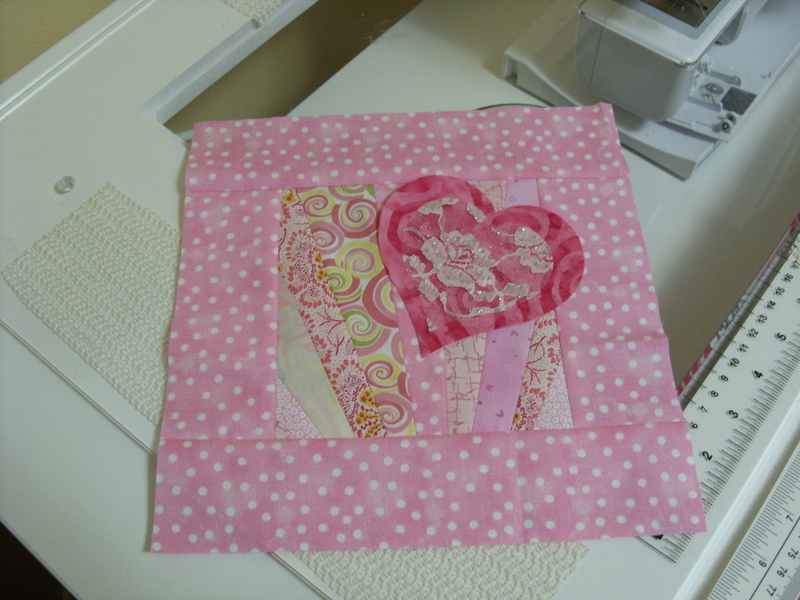 In my attempt to finish what is due 1st, I started with the Valentine quilting, leaving the one that is for my chosen person until last so that I would have 3 others to practice on and determine what the best plan would be. Inspired by the Feather quilting with Angela, I decided to try some plume feathers on the 1st one, with a simple meandering in between. I could not believe how easy it was, of course I tried it on a practice piece a couple of times 1st, but it was going so well, I went right to the 1st Valentine! I decided to try the next style feather for the 2nd one and again, I was very pleased with the result. 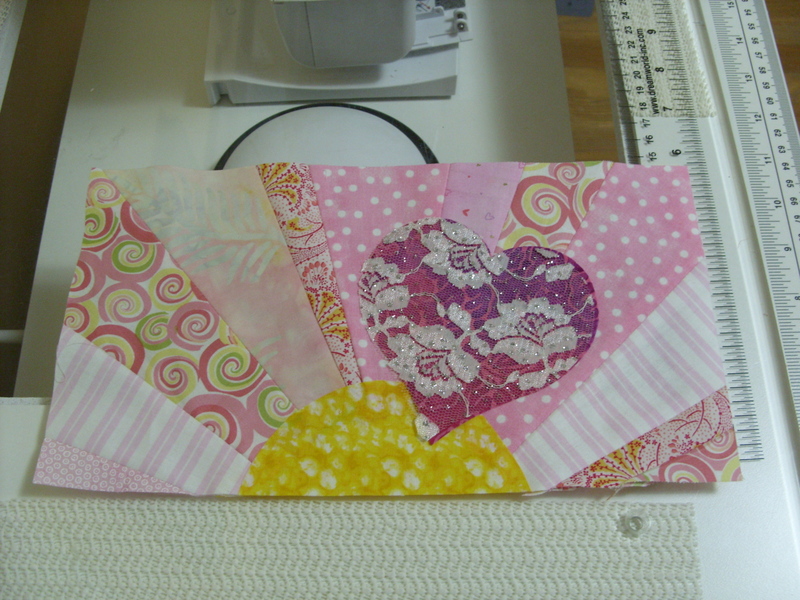 With the 3rd one, I put a connected feather in the left and top border, and in the body of the Valentine I used feather meander. It was time for the real one; I chose to go back to the plum feather with a spiral meander in between. I used the feather in some of the background rays. When I was done I had such a feeling of accomplishment, they came out great. The only thing missing was sharing it with Rebecca (the cat did not care) so I sent her a photo on Facebook to share with her. I attached the bindings and here are some photos. On to the Pod quilt. I decided to do a feather meander inside of the pods. I have not planned out the rest yet, but I will be using information from the Quilting in Negative spaces to section the negative space out and quilt it with some variety. I hope to continue on this next Saturday, And this is what it looks like from the back. Stay safe and warm until next week! Well the first goal weekend has come and gone and my conclusion is that it was a great success! Rebecca has always been such a motivated person and what a planner, I am following her lead with this goal planning and mastering. The plan is to have one Saturday a month to spend together to work toward each of our goals, while she is reading, I am quilting. 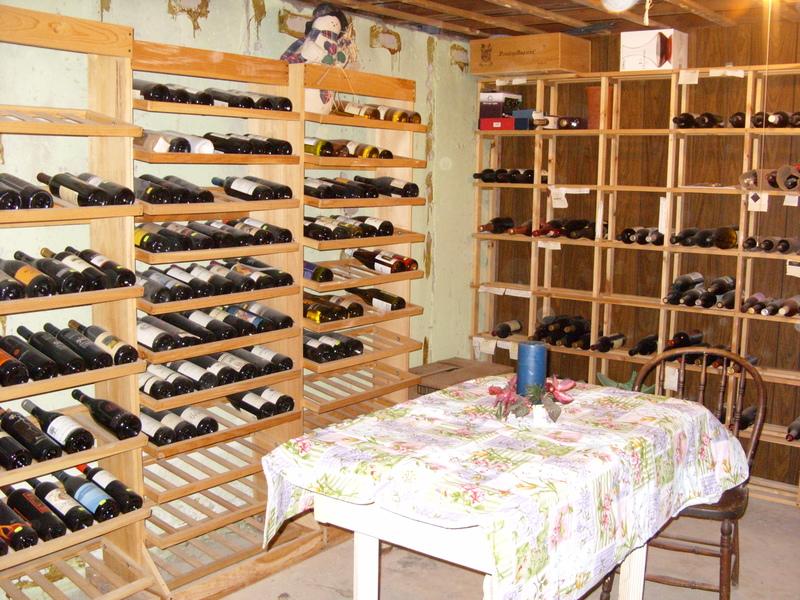 Of course, neither one of use can get through the day without multitasking so we also planned a short block of time for cleaning and organizing in the cellar. We had a great morning of reading and quilting, I was working on A.J.’s quilt and was able to do the appliqué topstitching and I started the quilting before lunch. I have to mention equipment at this point. 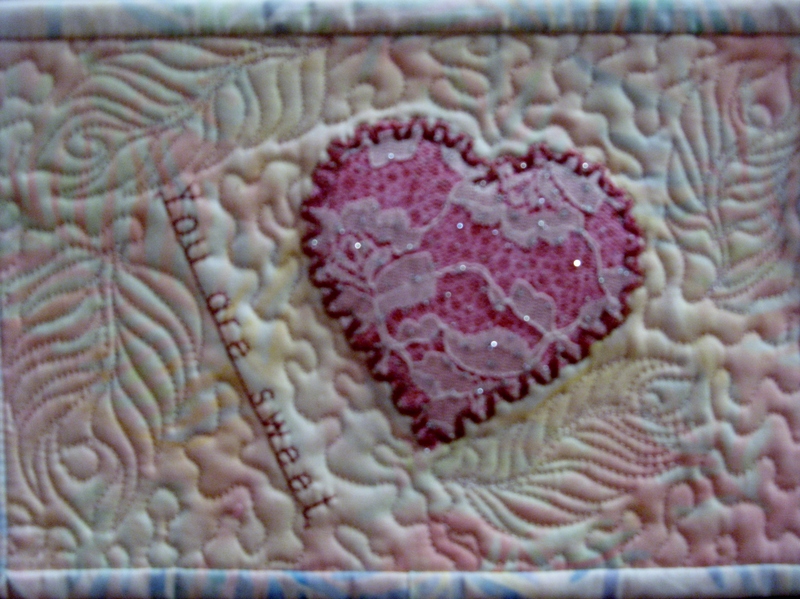 I learned free motion quilting with an open darning foot, controlling the speed and stitches with my pedal and hands. Shortly after that (2006) I bought my Bernina Aurora 440QE which had the BSR (stitch regulator). I found that using the BSR was difficult for me and my stitching was jerky and uneven. When I upgraded to the 750QE, I spoke to the store manager about it and he suggested that I try it again, so since I got this machine in September, I have been switching back and forth between the BSR, and my own control with the open darning foot. I am finding that I am able to get smooth, even stitching with both. 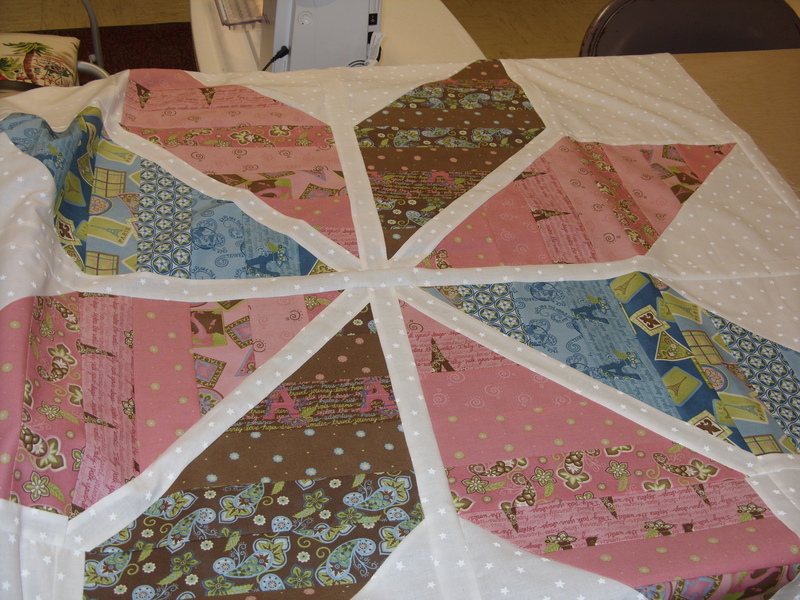 Here is a peek at A.J.’s quilt. Earlier in the week, I managed to get the quilting done on Rebecca’s memory quilt and I hope to get the binding done on this one soon. In the afternoon we were able to clean one portion of the cellar, making a pile for recycle-trash, and donation. Overall it was a most successful day, I did not quite finish quilting the baby quilt, but I was able to get back to it last evening and complete the quilting. 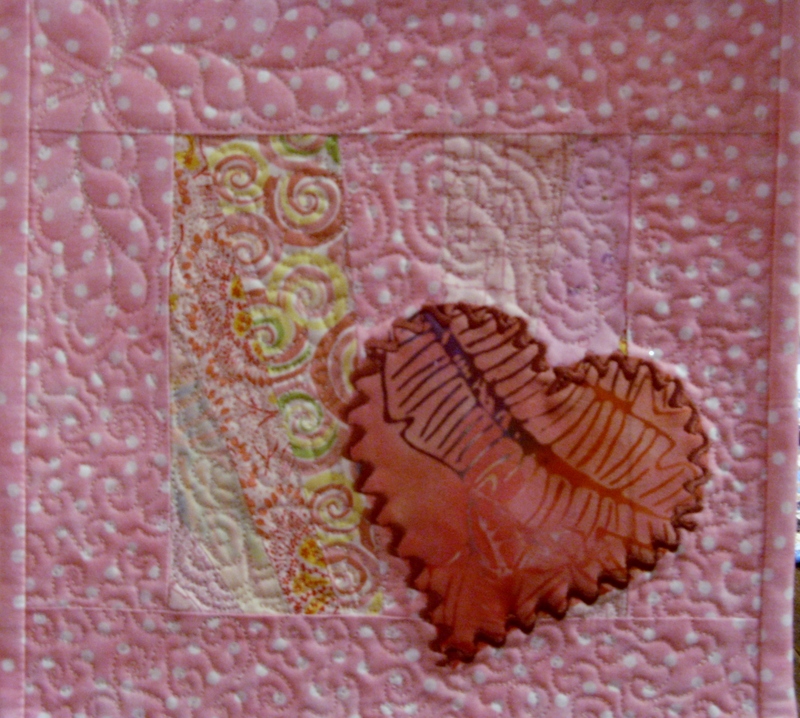 Now, it will be on to the binding and with some good luck, it will be complete to include in the January goals, along with the memory quilt for Rebecca and Kris, and some Valentine’s! Wish me luck! 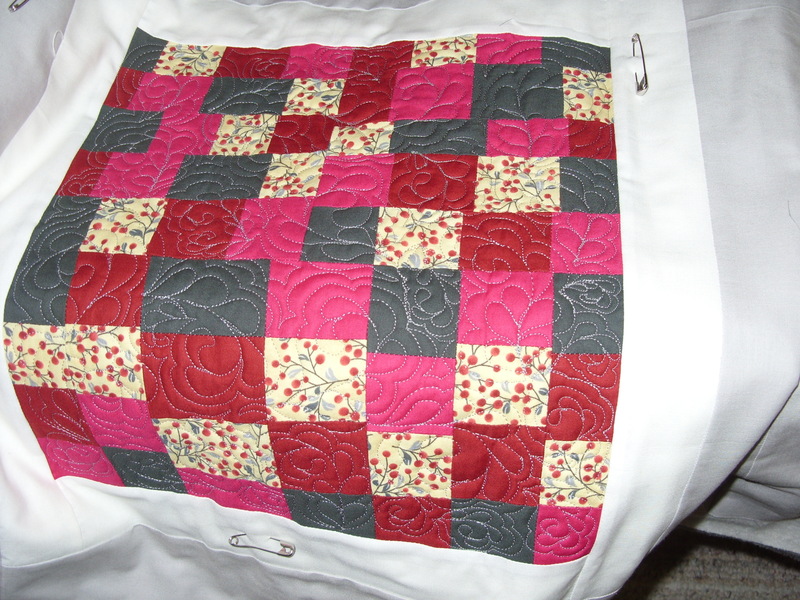 Of course, wine goes with quilting… the only thing missing is chocolate! It has been a busy weekend. We had our Guild meeting Friday night followed by a class on Saturday led by Geralyn Sherman making a stripped pieced star. We were able to finish the star center of the quilt and I would have had time to add borders, but I was just not ready to commit to the border fabric yet. It was a wonderful day of sewing machines humming and 22 women chatting and laughing and telling stories about those most important to them, their husbands, children, and grandchildren. I also have been working on my making a Valentine for our February meeting. Since our Guild meeting falls on Valentine’s Day, we decided to do a Secret Valentine exchange. I am still fine tuning the design and it may end up being one of these, or you never know, I might just start over again from the beginning. I was reminded Friday night that we still have 2 more challenges to complete before the end of our Guild year in June. I am sure that those challenges will come up here as soon as I get started on them. On another note, I have been struggling with picking out the fabric for the back of A.J.’s quilt, I had a couple of choices and I was not thrilled about either one, I have been trying not to buy new fabric because I can’t get into my closet now – it is so full. When I was pressing one of the blah choices getting ready to lay out the quilt, I suddenly thought of a piece of Jane Sassaman fabric which is just much too pretty to cut up. I just had a feeling that it would work perfectly, so I dove into the closet to pull it out of the bottom bin that it was stored in, and it is perfect. I pressed it up and laid out the quilt so that I would be ready for next weeks goal day! No pictures of A.J.’s quilt until it is done, sorry. Next Saturday is goal day….what is that you say? Well Rebecca, when she was planning this years goals and reporting of the same, suggested that we have one Saturday a month to work on our goals together. 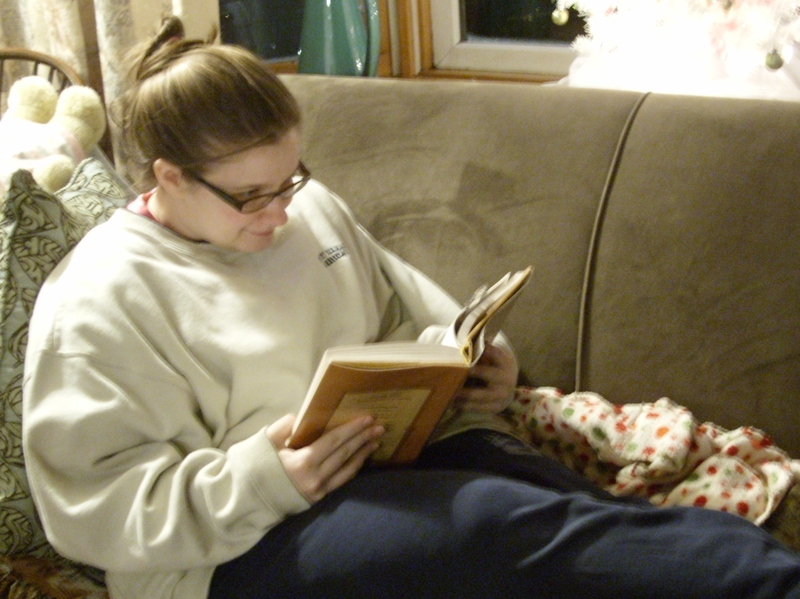 I will be sewing, she will be reading and devoting most of the day to making good progress toward our goal. 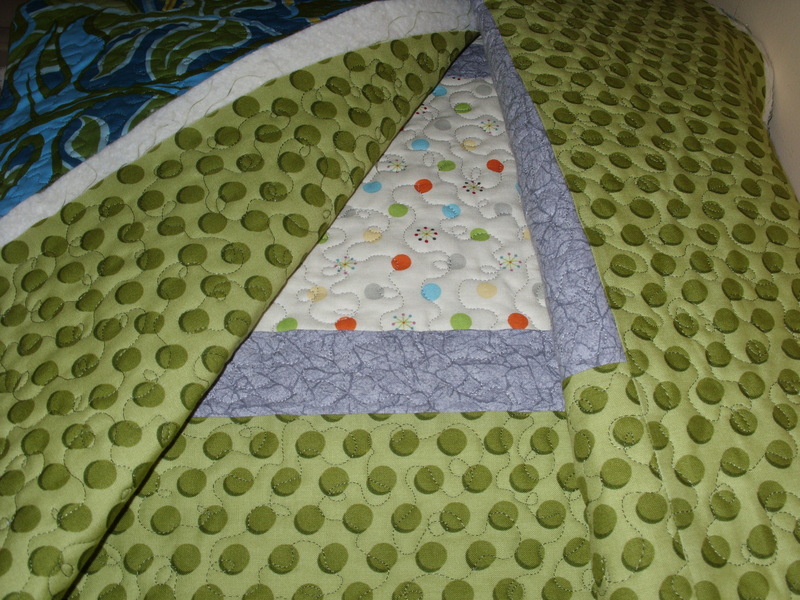 It will be about finishing some items, which is why it was great to get the baby quilt laid out. 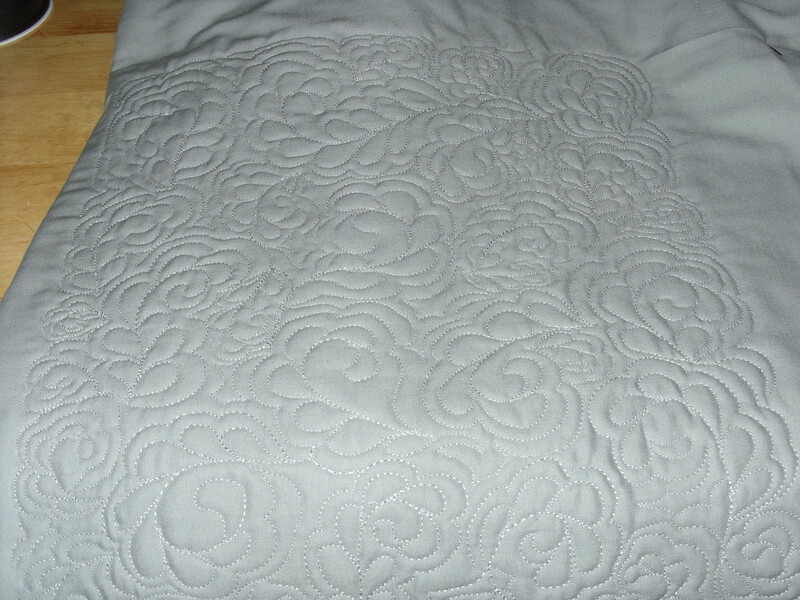 Now I should be able to get it quilted in the next week. Until then, safe travels everyone! Here are a couple of samples that I started working on for our Valentine exchange that will happen on at our Feb. 14th BBT Guild meeting. The idea is a secret Valentine exchange since our February meeting was going to fall right on Valentine’s day. I can’t tell you who will be receiving the Valentine that I make but I will show you the process as I go.